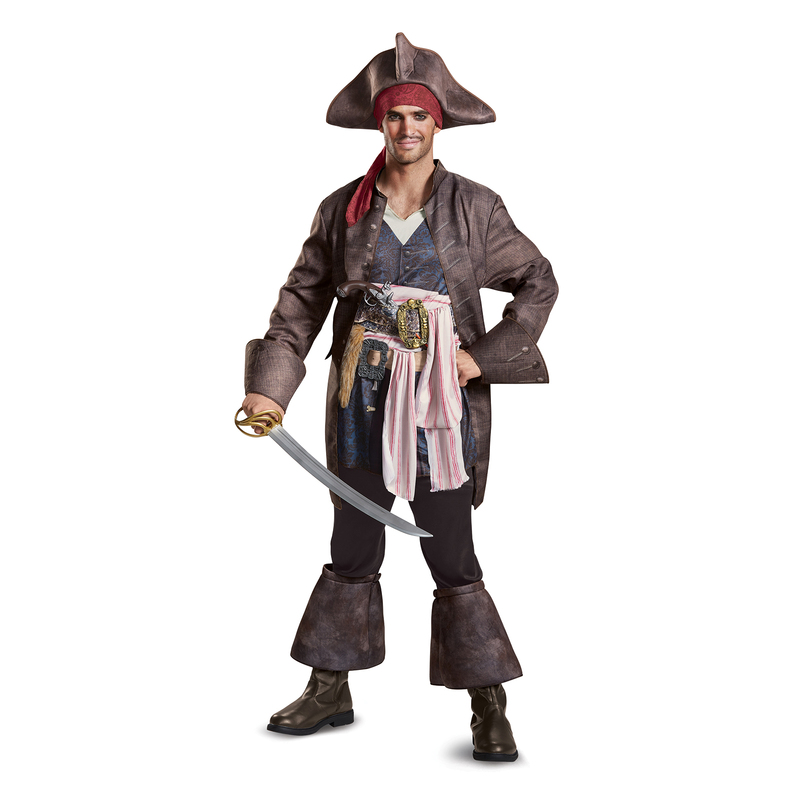 Go searching for the mystical trident of Poseidon in this Pirates of the Carribean Captain Jack Deluxe Adult Costume. Includes tunic with attached jacket, faux fur tail and sash, two belts with attached buckles, pants with attached boot tops, and hat with attached bandana. Does not include compass, pistol or boots. 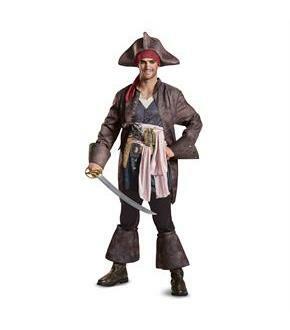 This is an officially licensed Pirates of the Carribean costume.